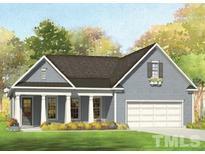 Find Fuquay Varina, NC New Homes for sale. View Photos, Maps and MLS Data Now! Sunset Bluffs - GREAT floorplan with all the custom finishes you have come to love from one of the areas BEST! MLS#2250384. 4392. There is even an office on the first floor so you can catch up on any work you need to! MLS#2250404. 835. Upstairs you will find a large Recreation Room/Bedroom perfect for you to relax and enjoy. MLS#2250420. 835. Sunset Bluffs - Hurry & you can make the Selections! MLS#2250247. 4392. This is a Pre-Sale Opportunity and to be used for comps only. MLS#2250078. 958. Pricing is for a to-be-built home and includes a gas stove, Rigid Core flooring on the first floor living areas, a downstairs guest bedroom and full bath, a study, granite counters and upgraded kitchen cabinets in your choice of designer colors. MLS#2250037. 2983. Choose your colors, your homesite and your selections to make this home yours. MLS#2250038. 2983. Only a few minutes from downtown Fuquay where you will find breweries, bakeries, shops, and a small town feel just 25 minutes from Raleigh. MLS#2250042. 2983. We have homes to view in nearby communities so please call for an appointment. MLS#2250025. 2983. Large master suite has large walk in closet, beautiful garden tub and separate shower! MLS#2249879. 5043. Sunset Bluffs - Home entered at framing, hurry while you can make selections. MLS#2249818. 4392. South Lakes - Conveniently located neighborhood with abundant amenities for all to enjoy. Estimated ready to close August/Sept. MLS#2249509. 929. All wood shelving and beautifully landscaped. Welcome home! MLS#2249436. 958. 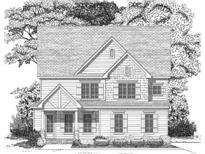 South Lakes - You must see North Lakes and this beautiful home. MLS#2249003. 1886. South Lakes - Extensive hardwood flooring, 2 piece crown trim on first floor.Huge Master bedroom and luxurious Master bathrm. Abundant amenities to enjoy! MLS#2248715. 929. Sunset Bluffs - Home is entered at permits so that you can still customize and make interior selections and make this your home. MLS#2248741. 4392. Sunset Bluffs - Hurry and you can make the Selections! MLS#2248742. 4392. Sunset Bluffs - *Pictures are of similar model and are for illustrative purposes. MLS#2248714. 4392. Extended owner suite with great Walk in Closet and on suite bath with Ceramic tile shower & garden tub + 2 or 3 guest bedrooms 2nd floor. MLS#2248771. 1710. The down stairs is very open and is a perfect area to entertain and have guests over because of how open it is. Come visit us today! MLS#2248575. 835. Amenities available through nearby Bentwinds Golf & Country Club. MLS#2248213. 1411. Huge master suite has an enormous walk in closet, double vanity with marble counters and large shower. MLS#2248436. 5043. Close to charming downtown Fuquay Varina shops and restuarants. MLS#2248338. 81. Sunset Bluffs - The Onslow will be complete Mid Summer! MLS#2247952. 4392. Bright & sunny; home's over-sized back windows are spectacular! Welcome home to Cedar Crest! MLS#2247792. 958. These statistics are updated daily from the Triangle Multiple Listing Services, Inc. For further analysis or to obtain statistics not shown below please call Highgarden Real Estate at 919-213-9465 and speak with one of our real estate consultants.